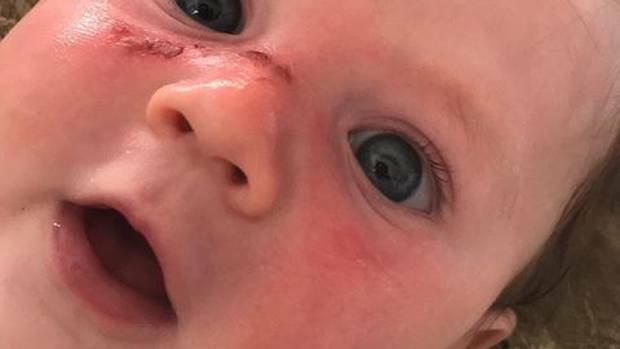 A 4-month-old baby is suffering "horrific" blister burns after 50 SPF Cancer Society sunscreen failed to protect the wee tot from New Zealand's harsh rays, his mother says. The Cancer Society have confirmed an investigation into the sunscreen is underway following five "serious" complaints over this summer season. The organisation has about 60 complaints each season. This season 30 people have complained so far which was on par with previous years, said Mike Kernaghan, chief executive of The Cancer Society of New Zealand. Reefton mother-of-two Lyndall Watson spoke to the Herald about her son's "heart-breaking" experience. 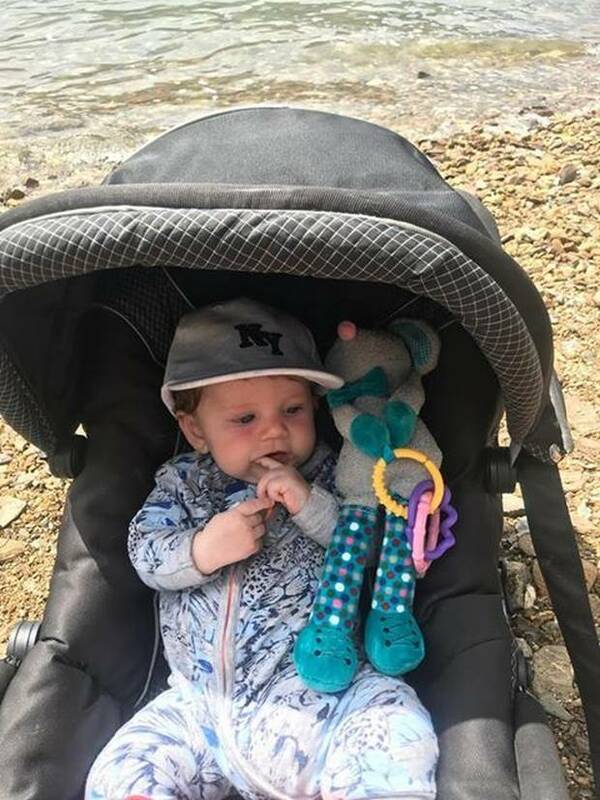 On Saturday, the family arrived in the Marlborough Sounds for an overdue summer break but very quickly their holiday turned into their worst nightmare, Watson said. That afternoon, at about 1pm, the family headed down to the beach. 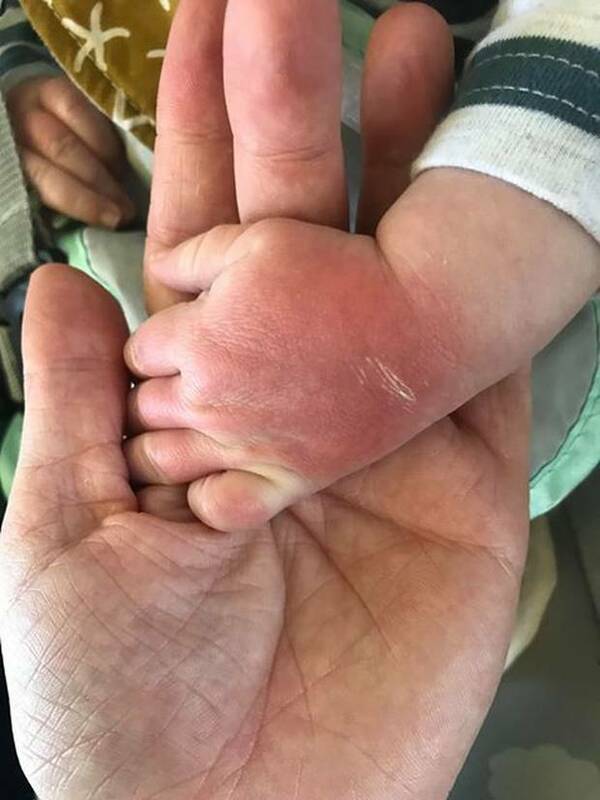 Baby Noah's face and hands were covered in the 50 SPF Cancer Society sunscreen 30 minutes before getting to the beach, as they were the only areas exposed, Watson said. She said Noah was kept in the shade with a hat on and she re-applied more of the sunscreen within an hour, as it looked like he was already getting burnt. "I trusted Cancer Society to protect my children. You assume they are a safe option as they are the experts, so the last thing I expected was this," Watson said. The family left the beach about 4pm, when Watson noticed a red spot on her son's nose. "At first I thought it was a mosquito bite but then it started spreading to his eyes and blistering. Seeing this happening to your baby is heart-breaking," Watson said. Her oldest son, who is 3-years-old, was also burnt on his back but not as bad. "He was in the water so it's surprising he didn't get as burnt as Noah but then I guess his skin isn't as sensitive as a baby." Four days later, after repetitive Aloe Vera gel layering, baby Noah was only just starting to recover. He was prescribed creams from his doctor and an ACC claim had been made "in case there are any issues down the line," Watson said. "The doctor said we would need to keep Noah out of the sun for the rest of the summer and take extra precaution." Watson said she had since thrown the bottle away but only bought the sunscreen three days before the outing so it could not be expired. Kernaghan said five complaints from this season had gone through into a formal process. "I can confirm we have been contacted by both of the people who have featured recently in the news around their sunscreen complaints." Watson said she had not yet made a compliant but she intended to soon. She stressed she wanted to share her story to help warn others about the potential dangers. Kernaghan said the society was working through the complaints in a formal process as they took sun protection very seriously and know the damage sun can do to New Zealanders. "This process aims to understand how the sunscreen was applied, how often and how much. This process ensures our products are working as they should." Chetwin said there was an issue with how often organisations looked at their sunscreen formula. "Sunscreen providers conduct their own testing but that needs to be more frequent. We have limited funds to test every product but we do test the popular brands like Cancer Society." Consumer NZ were currently awaiting results for the latest round of Cancer Society sunscreen, Chetwin said. She confirmed that in 2017 Cancer Society failed its SPF testing. Consumer NZ testing of sunblock is conducted in a lab in Australia on around 10 people.